Withings has a scale, a blood pressure monitor, and an activity bracelet — now it's trying to help us all get a little shut-eye between all that activity. This week at CES it announced the Aura, a $299 device designed to help you fall asleep faster, sleep better, and wake up easier. 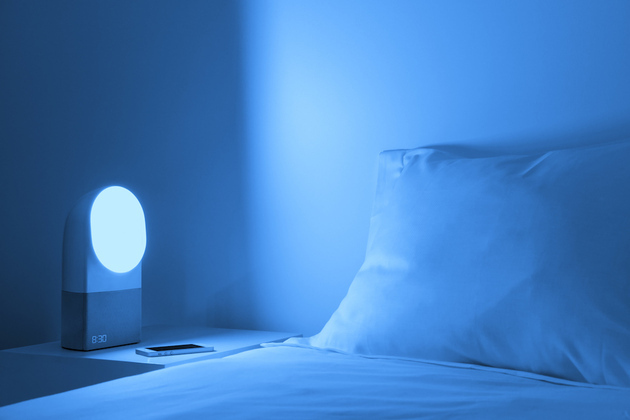 It comes in two parts, one a small pad that goes underneath your pillow to monitor you while you sleep and one a light that sits on your bedside table. The pad senses your heart rate, movements, and breathing, while the light also scans your room for noise, light, and temperature.